Introducing the Pacific Crest Memorial Plaque Urns Collection, the premier line of wall mounted cremation urns from Urns Northwest. 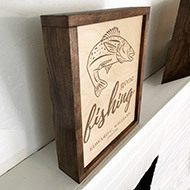 Creative and unique, these beautiful handcrafted memorial plaques double as a cremation urn to hold cremated remains securely and discreetly. 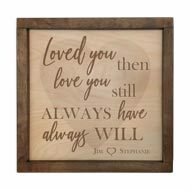 There's no other cremation urn on the market that draws attention to your loved one's memory as a memorial plaque, yet unobtrusively stores the cremated ashes. 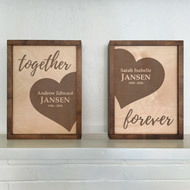 Choose from several designs, all of which include personalized laser engraving and arrive ready to hang. Made in the USA.